Family Sharing allows family members to share their iTunes and App Store purchases with each other. It's a terrific tool if you've got a household full of iOS device users like iPhones, iPods, and iPads. Even better, you only have to pay for everything once, not for every device! You may not want to use Family Sharing forever, though. 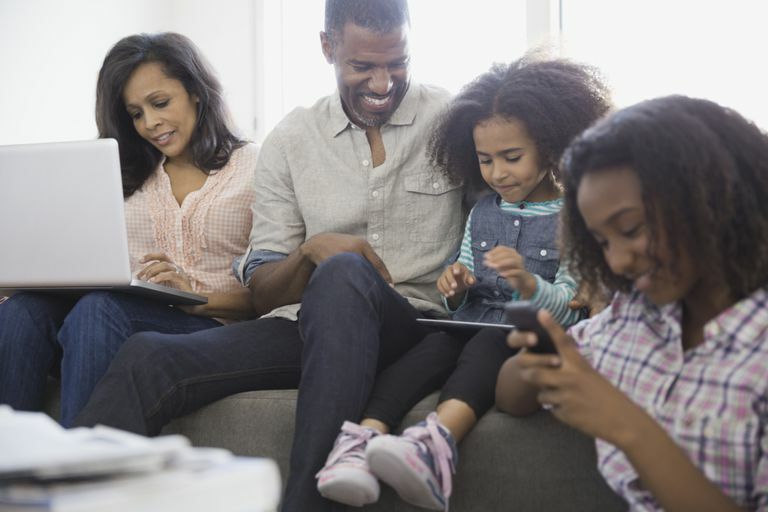 In fact, you may decide that you want to turn Family Sharing off completely. The only person who can turn off Family Sharing is the organizer, the name used for the person who originally set up sharing for your family. If you're not the organizer, you won't be able to turn the feature off. You can leave the Family Sharing yourself, however. Tap your name and photo at the top of the screen. Tap the Stop Family Sharing button. With that, Family Sharing is turned off. No one in your family will be able to share their content until you turn the feature back on (or a new organizer steps in and sets up a new Family Share). If you deactivate Family Sharing, you may wonder what happens to the items that your family shared with each other. The answer depends on where the content came from originally. If you were part of a family Apple Music subscription or a shared iCloud storage plan, you will lose access to those. TV shows, movies, books, and certain other purchases through the iTunes Store are protected by Digital Rights Management (DRM). DRM restricts the ways in which you can use and share your content (generally to prevent unauthorized copying or piracy). These items shared will stop working when the Family Sharing group is disbanded. This covers content someone else got from you and anything that got from them. However, though that content can't be used anymore, it's not deleted. In fact, all of the content you got from sharing is listed on your device. You just need to re-purchase it using your individual Apple ID if you want to use it again. If not, you can have it deleted from your device. If you've made any in-app purchases that you no longer have access to, you haven't lost those purchases. Simply download or purchase the app again and you can restore those in-app purchases at no additional cost. Stopping Family Sharing usually is pretty straight forward. However, there's one scenario in which you can't simply turn it off: if you have a child under 13 as part of your Family Sharing group. Apple doesn't allow you to remove a child that young from a Family Sharing group the same way you'd remove other users. If you're stuck in this situation, there is a way out (besides waiting for that child's thirteenth birthday, that is). This article explains ​how to remove a child under 13 from Family Sharing. Once you've done that, you should be able to turn off Family Sharing.